Nvidia may have been first to the quadcore game, but Qualcomm is ready to bring on the competition. On Tuesday morning in San Francisco, Qualcomm introduced the press to its latest Snapdragon processor running on a developer tablet. 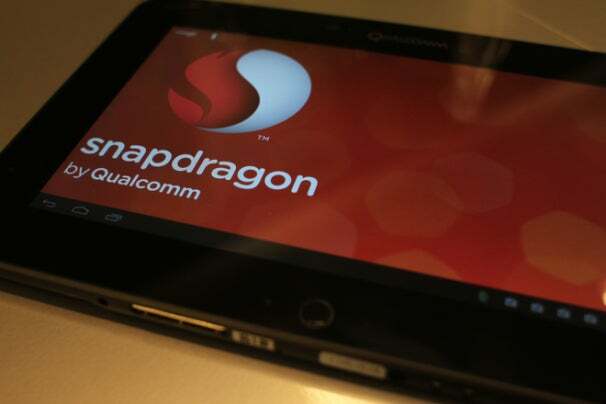 The Snapdragon S4 Pro is Qualcomm's direct contender to Nvidia's quadcore Tegra 3 processor. Built by BSquare, this tablet (also known as a Mobile Development Platform, or MDP) is available today from BSquare's website for $1300. We first saw the Snapdragon S4 Pro processor in February at Mobile World Congress, but this is the first time we've seen it on a working, non-prototype device. The S4 has four asynchronous CPU cores running up to 1.5GHz each. The platform also features the new Adreno 320 GPU (graphics processing unit), which Qualcomm claims is two times faster than the Adreno 225 GPU found on previous Snapdragon platforms. Because the S4 is quadcore, it can support multithreaded applications, or applications that run multiple processes at once. This is a huge deal for games--phones that can support simultaneous processes allow for fluid, snappy games with high-quality graphics. One intriguing feature of the Adreno 320 is that it supports the ability to take a picture first and focus in on a subject later. Sound familiar? Essentially, Qualcomm's platform has the API and driver support to do light-field photography, the technology seen on the Lytro camera. Perhaps as a nod to its competitor Nvidia's Tegra 3 fifth core, Qualcomm said that there was no need for an "extra" core to conserve battery life. According to Qualcomm, the S4 Pro is designed to have all-day battery life. The developer tablet has a 10.1-inch WXGA multi-touch display with a 13-megapixel back-facing camera with a flash. 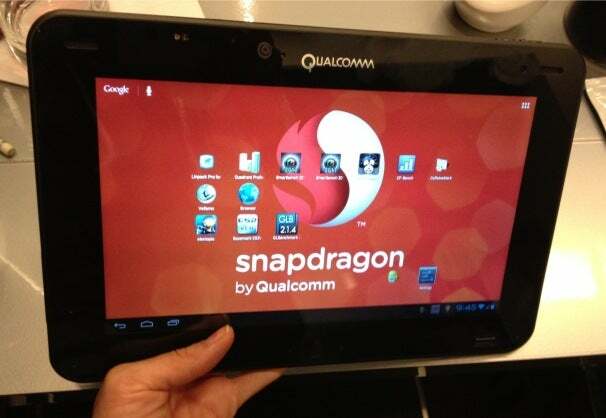 It runs Android 4.0 (Ice Cream Sandwich), though Qualcomm was showing a tablet running Android 4.1 (Jellybean). We'll have a detailed hands-on of the Snapdragon S4 developer tablet coming later today so check back for our first impressions of the first device running Qualcomm's quadcore platform.